Boiler repair South East London? When finding a reliable company to carry out your boiler repairs in South East London is paramount, JustBoilers.com should be your first port of call. As a professional boiler maintenance company with more than 30 years of experience in boiler breakdown and repair, we are a skilled and qualified team of certified Corgi Gas engineers who can fix your faulty boiler and get your hot water back on line. We cover areas such as Lewisham, Southwark, Lambeth, Greenwich, Croydon, Bromley, and Bexley. 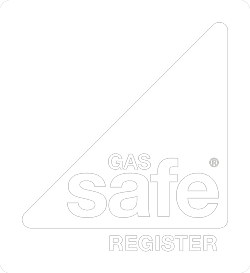 We understand how stressful and upsetting it can be to have to cope with boiler problems, especially during the winter, and that’s why our team of South East London Gas Safe heating engineers are dedicated to repairing your central heating system in a timely manner without invalidating your boiler’s warranty. Whether you need a broken boiler repaired or whether your system could just benefit from a tune up, make JustBoilers.com your first choice in South East London. We can get your life back on track in no time. If we think that your boiler is no longer economical to repair and it is an old boiler for example, then we will provide you with a free quote to install a new efficient boiler. We have very competitive boiler installation prices, and you will get the best engineer in South East London, installing your boiler with a remarkably low boiler install cost. If it is an emergency boiler repair or an urgent boiler breakdown in South East London then please don’t hesitate to call us straight away for our honest advice.